For the next 2 weeks, I will be reviewing different kinds of cleansers, such as cleansing water, oil, gel, foam, washing powder, and make up remover. Cleansing is such an important step and if your cleanser doesn't do a good job, your skin suffers!! 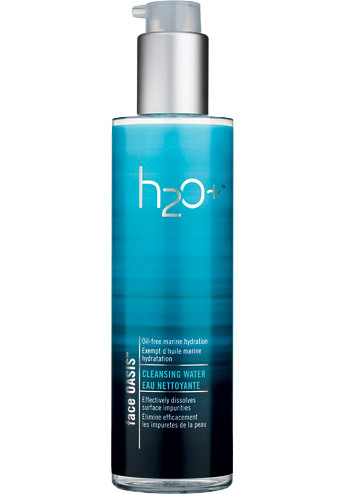 Cleansing water can deliver lots of hydration to your skin! It's suitable for any skin type. It can be used as a cleanser and as a make-up remover. I use it as a cleanser in the morning cause during this time, you skin is not so dirty and you are really only removing your night time skincare. You would definitely want to stay away from a strong cleanser, such as foam or washing powder. A strong cleanser in the morning will dry out your skin and cause tightness. it helps to balance water moisture on your skin, makes my skin fresh, soft and smooth. you still want to use something strong such as a foam cleanser after that. However, for mascaras and eye shadows, you are better off using an eye and lip make up remover.